From rabbits in costumes to Ferris wheel rides, next week’s Loudoun County Fair offers something for everyone. 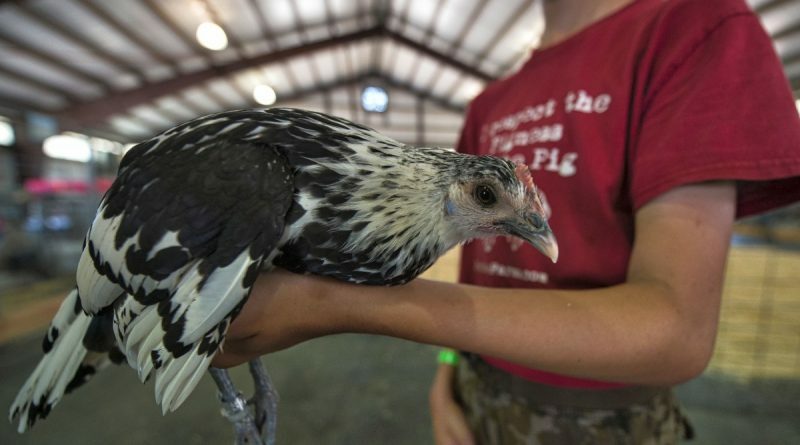 The fair opens Monday at the Loudoun County Fairgrounds, off Dry Mill Road west of Leesburg. Gates open at 9 a.m. daily, with the carnival running from 4 to 10 p.m. Among this year’s highlights are the Stoney Roberts Demo Derby on Monday night, the Professional Bull Riding and Rodeo on Friday night, and a monster truck show on Saturday night. All through the week there will be contests and animal events, performances by the Cincinnati Circus and hypnotist shows. Daily admission tickets are $12 for adults and $5 for children, with discounted week-long passes also offered. Individuals with a military ID will be admitted for free. On Tuesday, senior citizens will be admitted for free before 4 p.m. and on Wednesday children up to age 12 are free before 4 p.m.
For the full daily schedule and tickets go to loudouncountyfair.com.